Reverend Micah Bucey has served Judson since 2010, first as a Community Minister, then as Community Minister of the Arts, and now as Associate Minister. Also a performer, playwright, lyricist, trumpeter, and ukulele player, Micah is committed to nurturing the creative potential inside everyone, especially those who might never call themselves �artists.� This pastoral passion promotes �A Theology of Curiosity,� one in which question-asking, storytelling, and playfulness nudge individuals toward co-creative change through community. In his time at Judson, Micah has developed and continues to oversee Judson�s weekly and completely free �Judson Arts Wednesdays� series, which has commissioned, presented, produced, and promoted the creative output of hundreds of poets, actors, playwrights, composers, musicians, dancers, choreographers, painters, photographers, sculptors, and many others, from New York City and beyond. The inclusive spirit of �Judson Arts Wednesdays� stems from Micah�s belief that artists have the potential to serve as this world�s modern-day prophets, creating stories that show us where we�ve been, who we are, and what we can become. 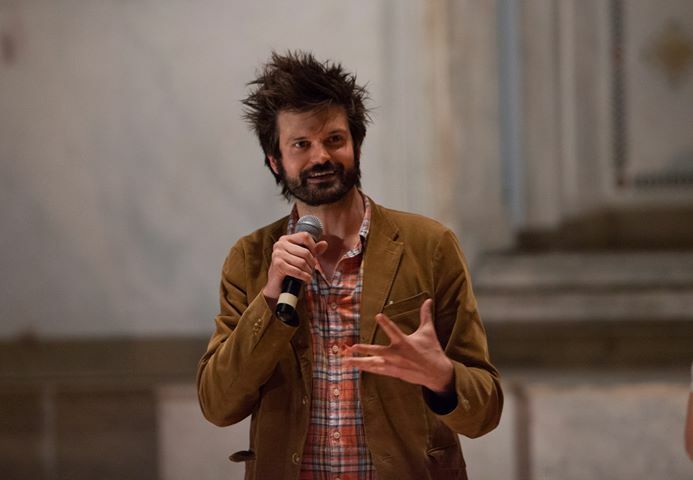 Beyond his work on Wednesdays and Sundays, Micah also co-created and continues to facilitate �PopLab,� Judson�s populist theological-political-artistic think tank, in which participants cultivate new connections through focused conversation and shared stories. He also facilitates Judson�s �Sonic Youth Fellowship,� which keeps him on his aging toes twice a month. A graduate of Fordham University and Union Theological Seminary, Micah believes that the Christian Gospel, at its best, holds the power to queer humanity�s ideas of itself, the visible world around us, and the invisible world we desperately want to see. He trusts that the stories of and about Jesus, at their best, hold the power to revolutionize our senses of self and our senses of self within community, and that Church, at its best, can serve as a research-and-development center for awe-curious transformation with God and neighbor. Micah lives two blocks away from Judson with his partner Matt and their feline familiars Cat Stevens and Little Wonder. Some of Micah�s favorite research activities include listening to David Bowie, David Byrne, Tom Waits, Dolly Parton, Kate Bush, Stevie Wonder, Prince, Morrissey, Nick Cave, Mavis Staples, Bette Midler, and Randy Newman recordings, watching Bette Davis, Joan Crawford, John Waters, Pedro Almod�var, and horrible horror films, reading FlanneryO�Connor, James Baldwin, Angela Carter, Alice Munro, Steven Millhauser, James Purdy, Charles Ludlam, and Stephen King hardcovers, looking at comic books, Doctor Who, The Golden Girls, and Buffy the Vampire Slayer, attending Off-Off-Broadway theater happenings, and seeking the theological significance within all of it. He also writes and performs as the less attractive half of the post-modern-musical-theater-power-pop duo The Gay Agenda.